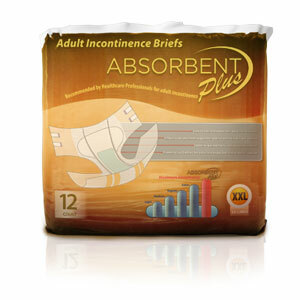 Recommended for individuals with severe urge or functional incontinence or for those who need maximum protection and absorbency. 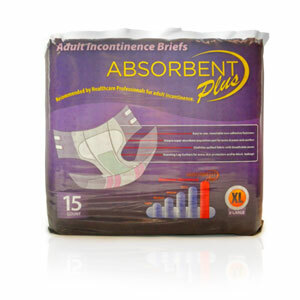 The Absorbent Plus Brief is the industry leader in absorbency, skin dryness and is approved by healthcare professionals nationwide. A cloth like top sheet that feels soft and dry against skin and new breathable wings to combat skin irritation. Hook and loop tabs along with the improved cloth backing that enable easy closing anywhere on back cover of brief without being compromised from oil based ointments or powders. Standing leg gathers to add comfort and protect against leakage. 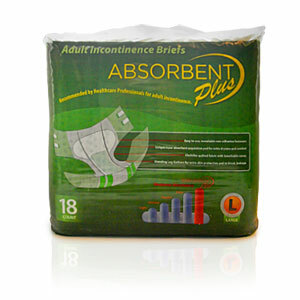 Ultra strong quilted back sheet minimizes brief tearing and waste. 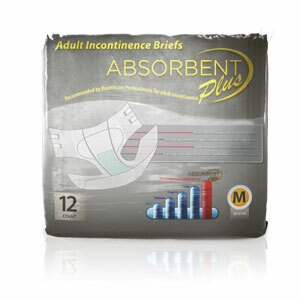 Unique acquisition pad has 5X the density of Super Absorbent Polymer to rapidly draw in liquids into the super-absorbent core, preventing moisture from coming into contact with the skin.